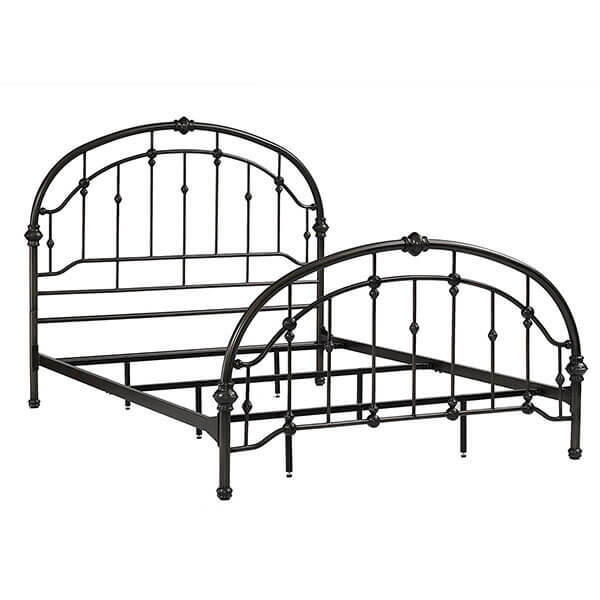 A classic iron bed, the DHP Brooklyn Wrought Iron Bed Frame features a tall, standard headboard and a long footboard. The mattress of your choice sits atop support slats, and you can choose to use it with or without another foundation. It comes in black or white. Full size dimensions: 82.25″L x 58.5″W x 51.5″H; 55.8 lbs. Queen size dimensions: 87.3″L x 64.5″W x 51.5″H; 61.5 lbs. King size dimensions: 87.25″L x 82.5″W x 51.5″H; 75.9 lbs. Box spring is required; mattress, pillows, linens, etc. are not included. 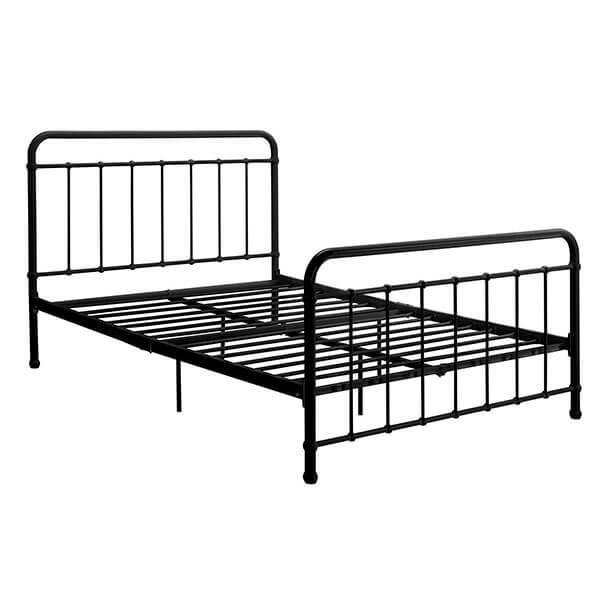 Made in a traditional, old-fashioned manner, the Nottingham Wrought Iron Spindle Bed is a classic iron bed that is sure to add charm to any bedroom. 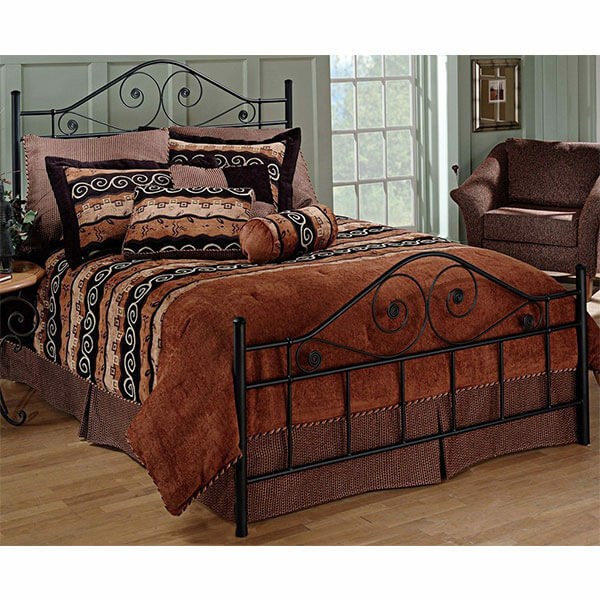 The Nottingham Wrought Iron Spindle Bed features a tall headboard and tall footboard and will require a box spring. 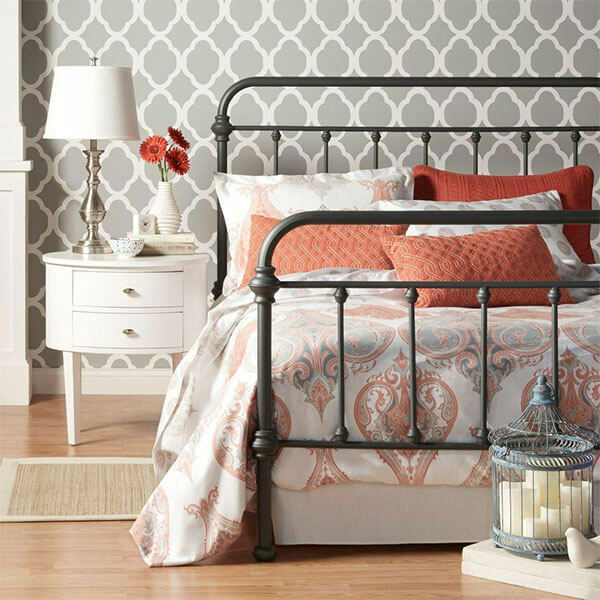 With its curvy nature and its unique, ornate head and footboards, the Dorel Living Wrought Iron Bed Frame is a classic iron bed frame sure to add old-fashioned appeal to your bedroom. The bed is made from tubular metal and has been given an antiqued-pewter finish to complete the look. 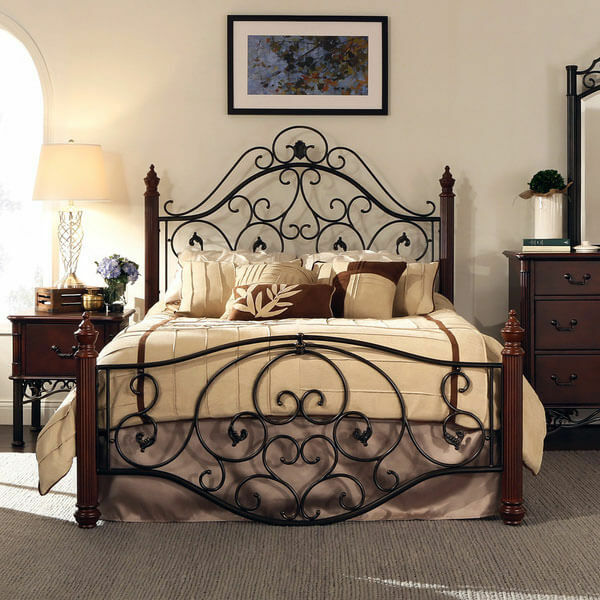 The high profile, beautifully decorated scrollwork headboard and footboard of the Hillsdale Furniture Harrison Metal Bed Frame will certainly make this bed the centerpiece of your bedroom. It features a rich black textured finish and can easily match any of the decor in your bedroom. Covered from the headboard to the footboard in elegant scrollwork, the Madera Deco Scrollwork Metal Bed Frame is a traditional looking bed sure to add antique charm to your bedroom. This bed frame is made of a blend of bronze-finished metal and cherry-finished wood. 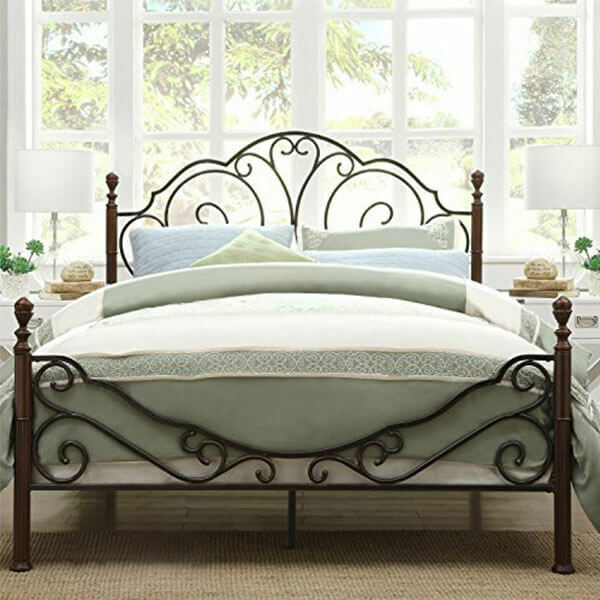 Classic yet stunning, the Tribecca Homes LeAnn Bronze Iron Bed Frame is a scrollwork bed frame that features a tall and prominent headboard with an ornate footboard. The Tribecca Bed Frame measures an overall size of 87 inches in length by 64.25 inches in width by 53.5 inches in height.